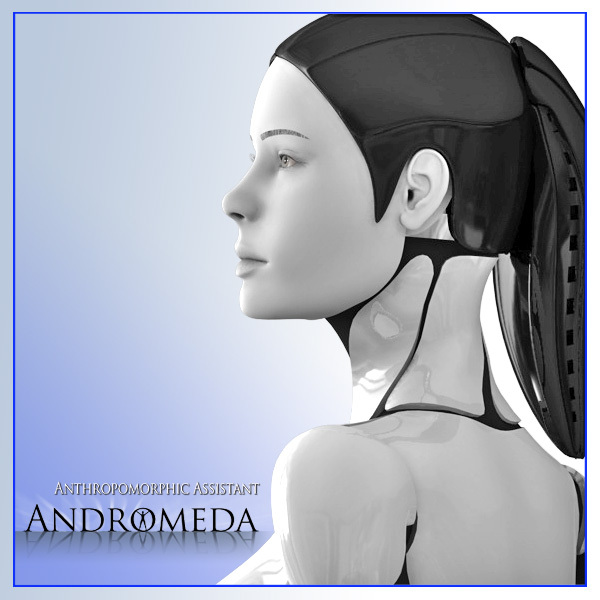 Andromeda is a complete android figure for Poser. She comes complete with hair on default load. This is part of her. She has basic face morphs and movement. The scale of this figure is similar to most for a simple integration into your renders. The figure was modelled carefully to resemble sharp-edge panels over a flexable chassis. In no way is this figure's look dependant on displacement maps or texture. Colors can be suited to coordinate with her environment simply by changing her shellcovering and hair materials.